Could our digital future depend on an internet tax? The advertising business is in bad shape, and that's bad news for the internet; many of the services we rely upon, from news sites to social networks, depend on advertising to pay the bills. Broadband isn't doing too well either. The credit crunch means people aren't as keen to upgrade as they used to be, with many people checking their bank balances and deciding that okay broadband is good enough. That means you'd need a very special brand of lunacy to decide that the best thing to do right now would be to put a tax on internet ads and broadband connections. Guess what? The government's considering exactly that. According to Brand Republic, the forthcoming Digital Britain final report will propose "a tax on ads placed on sites such as Google, Facebook and MySpace" and "a tax on broadband providers based on the amount of data used by their customers." Presumably that's over and above the proposed Digital Levy, another broadband tax that will pay for the entertainment industries to find new and exciting ways to annoy us with DRM. To appreciate the genius of the idea, you need to know what the monies raised will be used for. You'll need to take a deep breath. Ready? Okay then. The broadband tax will make broadband more expensive in order to ensure that rolling out broadband isn't too expensive. The internet ad tax will make advertising more expensive in order to help out broadcasters whose advertising revenues are plummeting because advertising is too expensive. We despair, we really do. This clearly comes from the same bizarre planet where people who can't afford to buy new cars are given financial incentives to buy new cars, which the manufacturers then make more expensive so that people who can't afford them still can't afford them. Imagine if other bits of the state took the same approach. Firemen would come round and torch your house to protect you from the risk of arson. Doctors would massacre all their patients to prevent them from getting swine flu. Police officers would duff up innocent people at peaceful demonstrations to prevent… actually, let's not think about that one. 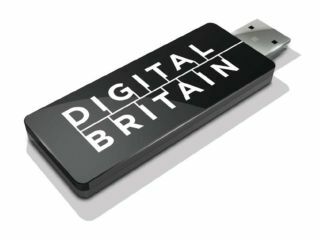 We've long suspected that Digital Britain would be connected by old tin cans and bits of string, but it seems we've been overly optimistic. It turns out that our digital future may well depend on a Twitter tax. UPDATE: The Internet Advertising Bureau has heard from a Digital Britain spokesman that the Governement has "no plans" to introduce a tax on online advertising.